KingRoot is one of the best solutions for those who want to root their Android device without PC. 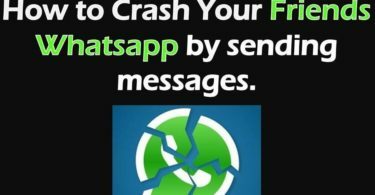 But after rooting the phone with this app, most of the users found that this application doesn’t work perfectly for on their Android device. So they look for the way to replace KingRoot with SuperSu On Android. Today, In this post I will be discussing the different ways to replace Kinguser with Superuser on any Android device very easily. Most of the Android users want to root their Android phone as it unlocks the potential to customize their smartphone to the next level. Many people don’t have PC or they want the easiest method to root their phone. So, they use KingRoot App as it’s very easy to use and supports almost all the devices. If you have also used this app for rooting your phone then you may already know about Kinguser. This is the app which gets installed after rooting the phone using KingRoot application. KingUser is used for granting the root access to various apps that needs root permissions. This application does the same work as Superuser. 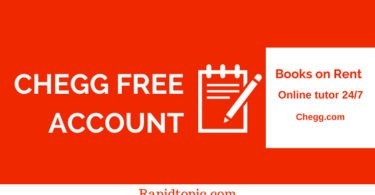 But, many people have faced issues while using this application on their phone. Sometimes, KingUser doesn’t work quickly for granting the root permissions. While sometimes this application makes the performance of an Android device slow. That’s the reason people want to replace Kingroot with SuperSu on their phone. Another reason behind the migration of KingRoot to SuperSu is its less popularity. Yeah, Kinguser is not too much popular and many people don’t want to trust on this unknown application. SuperSu has gained lots of trust and popularity among its user and the users are also satisfied with this awesome app. Here, I have shared the different methods to change KingRoot to SuperSu very easily. If a method doesn’t work for your phone, you can try another one. 1 How to Replace KingRoot With SuperSu On Any Android? You should firstly know the requirements that you need to keep before moving towards the guide to change Kinguser with Supersu. There are few simple things that you need to keep ready on your phone. If you have these requirements, you can continue to the steps from below. These are the things that you need in the name of requirement. So, you have all these things? 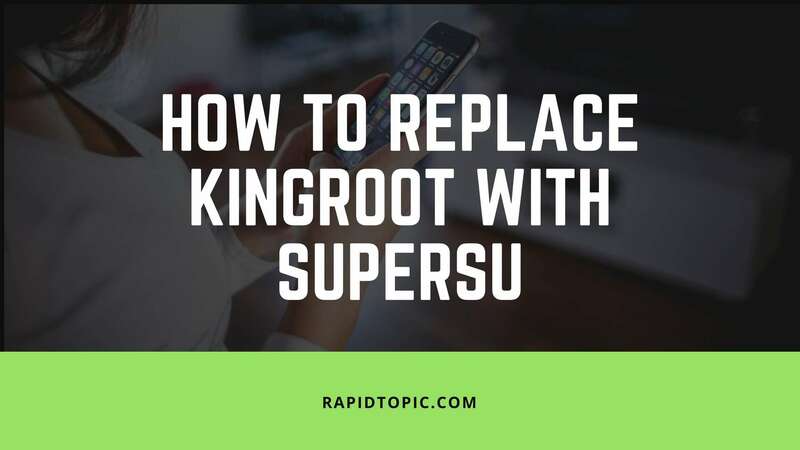 Let us know How to Replace KingRoot with SuperSu on a rooted phone. I have shared the two methods to replace the Kinguser app with SuperSu. You have to first try the first method as it is quite simple and easy. If the method doesn’t work for you, you can go for the second method. This is recommended to everyone as it works on almost all the Android devices. I will also suggest that you should try this method at first. In case it doesn’t work, try the alternate method shared below. For this method, you have to download the Terminal Emulator App which can be downloaded from the link given above or you can search for this on Play Store. This method is quite risky and if you don’t have enough knowledge, you can check out the other method which is shared below. At first, you have to download Replace KingRoot With SuperSu Zip file which we have shared above. Extract the downloaded file to the root of Internet Storage on your Android phone. Open the Terminal Emulator app and in the terminal window, type the command ‘Su‘. It will ask for the root access, allow root permission to the terminal emulator. You might get a warning message, just ignore it and wait for 2-3 minutes for its processing. When it completes the process, this will automatically launch the SuperSu app. If not, then you can go to the apps drawer and Launch Superuser from there. It will ask you to Update Su Binary. Click on Continue and then select normal mode. At last, reboot your Android phone. This is how you can replace Kingroot with Supersu on any Android. You can now use SuperSu App for grating the root permission to the best root apps for Android. If your smartphone didn’t support this method, don’t worry we have another method which is much easy than this method. You can also try this method and this will surely work for you. If the first method doesn’t work for, you can try out this method. I have shared the easiest way which can be used by almost everyone. All you have to do is just install an Apk file and then follow the further instructions. If you don’t want to enter deeply on your phone, this is the perfect method for you. This method works on almost all the Android device. I have tried the same method on my Android running on MediaTek and it worked fine. You can also use this method to easily replace KingRoot with SuperSu. So, let’s see the steps to replace KingRoot with Superuser on any Android. First of all, download SuperSu Me Apk on your phone. Open the downloaded file click on the install option. Wait till the installation process completes. When it finishes the installation process, Click on the Open to Launch the application. Now, it will ask for root permission, grant the root access from the Superuser. A Big Green Android Button will be shown on your screen, you just have to click on it. It will start processing and you need to wait for sometime till its completion. After that, it will automatically open the SuperSu app on your phone. That’s all. By following these simple steps, you have now successfully replaced the Kinguser to the Supersu. You have now Superuser app on the place of Kinguser. After your task is done, you can Uninstall the Supersu Me App from your phone. So, this was the guide shared for those who want to know “How to Replace KingRoot with Supersu on their phone”. We have shared a method to remove/replace KingUser/KingRoot with SuperSu/Superuser which is quite easy and can be used by anyone. If you are facing any problem or you have any question related to this post, please let us know in the comments.